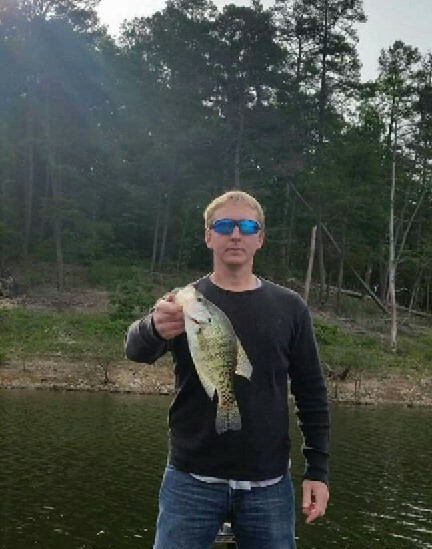 Michael Ray Virgin age 35, of Broken Bow, Oklahoma, departed this life on Tuesday, January 22, 2019 in Humble, Texas. He was born May 31, 1983, at Hugo the son of James Michael and Susan Darlene Virgin. Ray was a graduate of Broken Bow High School and attended Southeastern Oklahoma State University, where he studied Biology and Safety. He later joined the construction industry, working as a boilermaker and pipefitter. Ray’s greatest joys included hunting, fishing, spending time in the woods, and having adventures with his friends. Ray is preceded in death by his grandparents, James Virgin of Broken Bow, Oklahoma and Robert and Charline Pickens of Wright City, Oklahoma. He leaves to cherish his memory his father, Mike Virgin; mother, Susan Virgin; step-father, Lonnie Hammons; step-mother, Tammy Virgin; sister, Shanna Davis; brother-in-law, James Davis; grandmother, Patricia Virgin, and numerous beloved aunts, uncles, step-siblings, cousins, and friends. A visitation for family and friends will be held on Thursday, January 31, 2019 from 6:00 to 8:00 P.M. at Bunch-Singleton Funeral Home Chapel in Broken Bow, Oklahoma. A Celebration of Life is scheduled for Friday, February 1, 2019 at 2:00 P.M. at the First Assembly of God Church, in Broken Bow with Robert Pickens officiating. Interment will follow with a private burial.